Sherman Hemsley, the actor who starred in the hit 1970s sitcom The Jeffersons, has died at the age of 74 at his El Paso home. Police in El Paso, Texas, said late on Tuesday that Sherman Hemsley had been found dead at his home, although the cause of death was unknown. 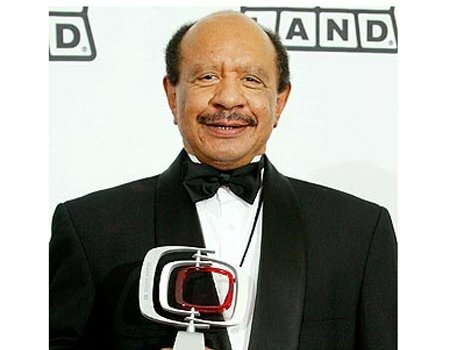 Sherman Hemsley played black Harlem businessman George Jefferson on CBS’s All in the Family before his character was spun off into The Jeffersons. The Jeffersons, with a mostly black cast, ran for 11 seasons from 1975-85. The show made fun of America’s racial and class-based faultlines. Sherman Hemsley’s character, a mean-spirited bigot who owned a dry-cleaning business, proved hugely popular with US audiences. Born in Philadelphia in February 1938, Sherman Hemsley’s first big break came when he was cast for a Broadway show, Purlie, where he caught the eye of All in the Family’s creator.